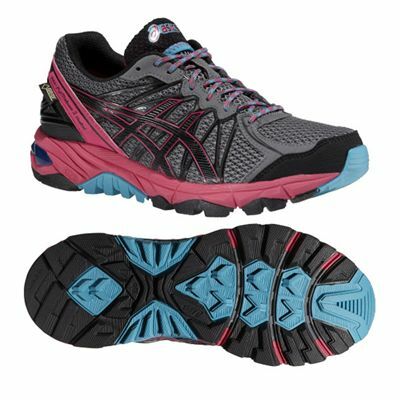 Run off-road with confidence in all conditions with the Asics Gel-FujiTrabuco 3 Neutral G-TX ladies’ running shoes. These trail shoes have a Gore-Tex waterproof upper and a durable and tough outsole with lugs that provide excellent traction both uphill and downhill. Comfort comes from gel cushioning and shock absorption in the front and rear parts of the shoe, which also improves the smoothness of transitions. They have reflective material to make you more visible in the dark and the cushioning sock liner is removable so the shoe can air better after use. for submitting product review about Asics Gel-FujiTrabuco 3 Neutral G-TX Ladies Running Shoes.